The rooms were designed to handle the city’s extreme temperatures. Because it lies between the mountains and desert, Tehran gets really hot in the summer and really cold in the winter. Historically, homes in Iran’s capital city have had two living rooms to accommodate these extreme temperatures. Obviously, that’s not the best use of space. 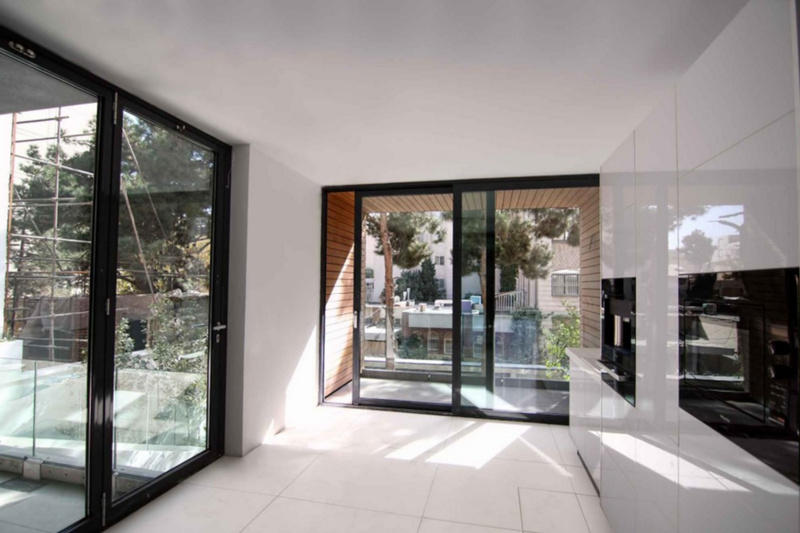 So one architecture firm came up with a modern twist on this tradition: motorized rooms that face outward during the summer to capture fresh air and turn inward during the winter to keep the house warm. 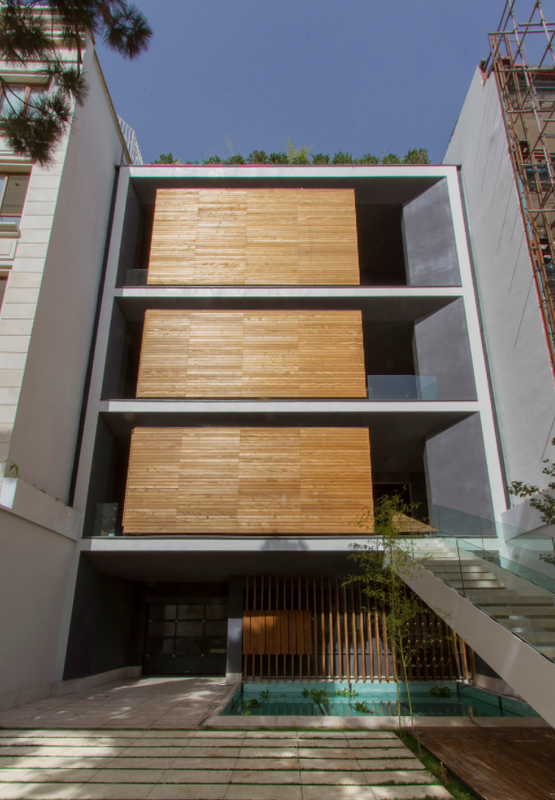 The Tehran-based firm Next Office used this design in a single-family home in the city’s upscale Darrous neighborhood. 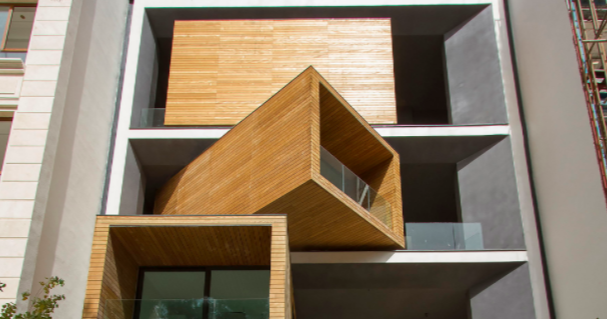 The sleek residence, called Sharifi-ha House, has three rotating rooms: a breakfast room on the first floor, a guest bedroom on the second floor and a home office on the third floor. 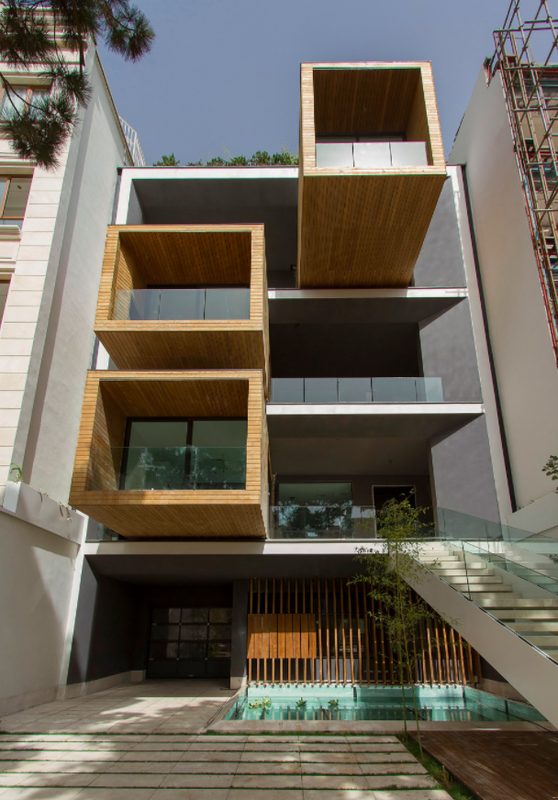 The German company Bumat, which specializes in revolving platforms like those used for theater sets and car exhibitions, built the rotating mechanism and shipped it to Iran, where it was incorporated into this chic home in 2013. 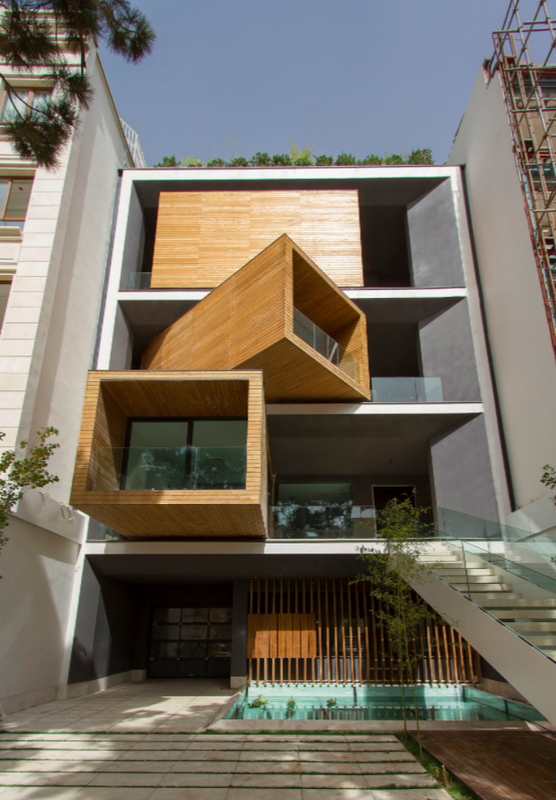 Next Office says that in addition to reimagning Tehran’s traditional two-living-room homes, they designed the three swiveling pods to maximize space in their client’s narrow building. Turning the facade from tw0- to three-dimensional allowed them to make the most of the slender plot. Inside one of the home’s swivel pods. Next Office did not respond when I asked who their client is or what they paid for this high-tech condo. Whoever they are, though, one thing is clear: They like to live in comfort and style. 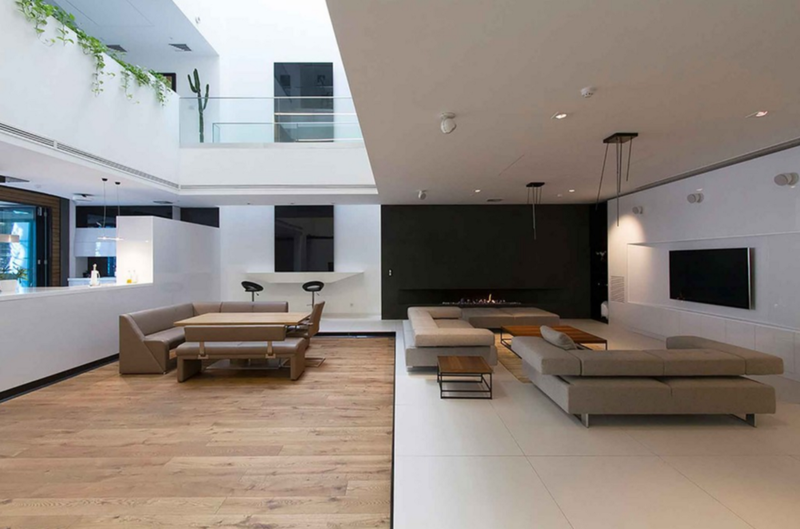 The seven-story mansion contains a movie theater, a gym, a recessed fireplace, a sauna and a pool with a glass bottom to bring natural light into the basement.